Dolls World: Tea Time and again new dresses :) for American girls. Tea Time and again new dresses :) for American girls. 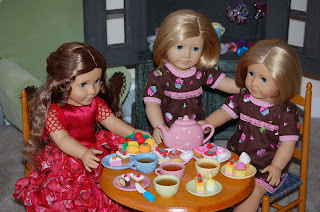 Beautiful dresses, I love the matching Kit twin dresses, very cute. The red dress is grogeous, as is the pink dress with the netting underskirt. Are they your own patterns? Thank you for your comments. All the outfits are my own designs. 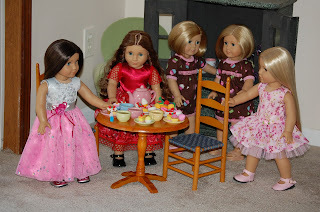 I don't use patterns or if I make several pieces the same for a design, I Use the dolls as models and I cut and fit the fabric to them as I sew the design together. I do not cease to admire your skill and talents. Larachaika- Lara Thank you so much!!! 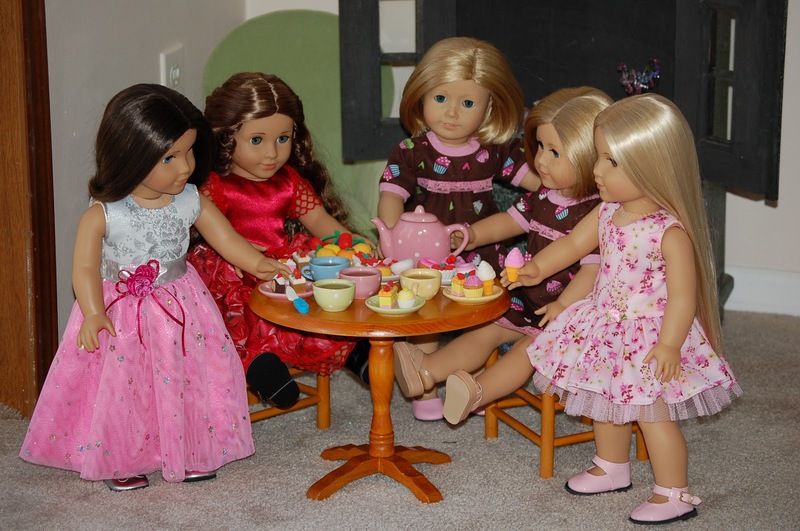 All my BFC ( Best Friends Club) girls. 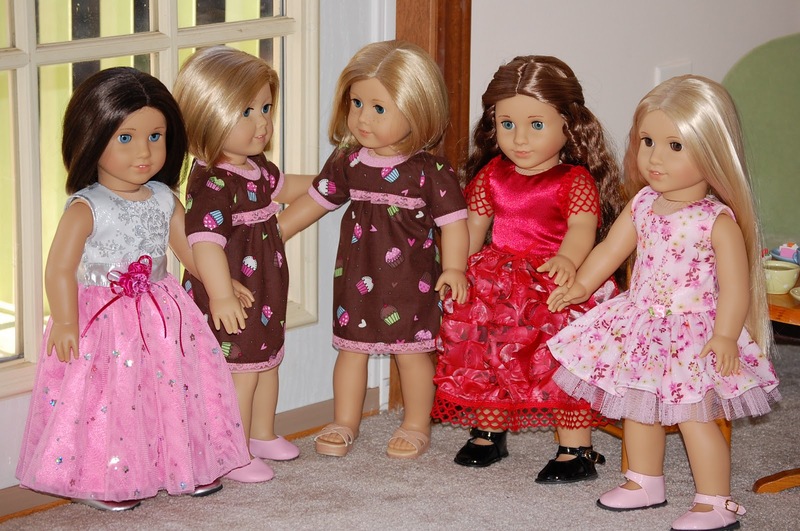 Dresses for Girls- American Girl and bjd dolls.